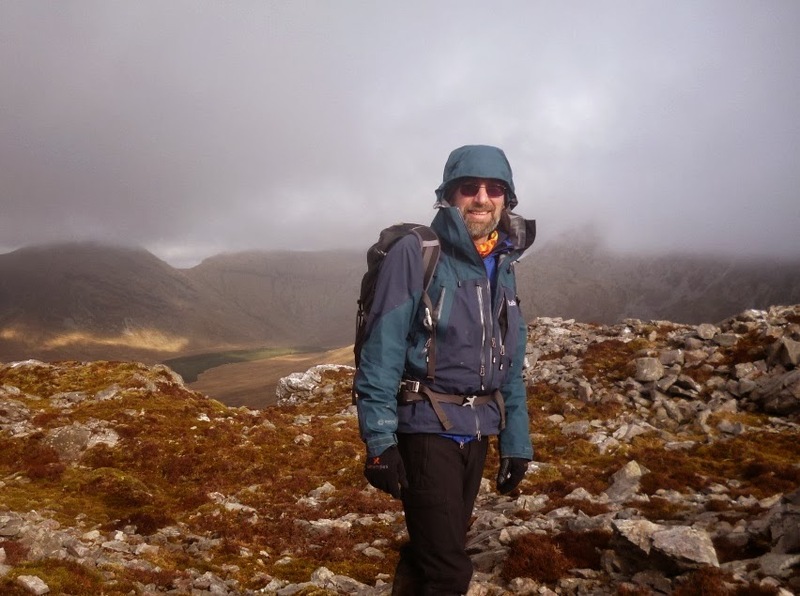 Hill Skills Series – Winter hillwalking – layering for cold weather comfort. By selecting the right clothing you can enjoy the hills in all conditions. ‘There’s no such thing as bad weather, only inappropriate clothing’, is a quote that has been used many times and in various forms. It simply means that if you have the correct clothing then the weather should pose no threat or impediment to your day’s hiking. With proper clothing you will remain warm and dry, even in the worst weather. In reality, one of the biggest challenges of cold weather hiking is managing sweat and keeping yourself from overheating. Multiple layering will keep you comfortable all day. You will need a clothing system that will keep you comfortable across a wide range of activity levels, from standing still to strenuous exertion, and in varying weather conditions, from cold and crisp sunny days to windy and wet outings. Sweat will evaporate much slower in winter than in summer and even small amounts could leave you feeling cold and clammy once you stop exerting yourself. Keep comfortable by moving at a pace that does not result in overheating and remove layers as you warm up. Remember that you will spend some time during the day not moving, perhaps waiting for other group members or eating lunch. Your clothing will need to keep you comfortable in all these varying conditions. Base layer – a good base layer should move moisture away from your skin, it should be comfortable and offer a degree of insulation. The choice is usually between synthetic, (polypropylene or polyester), or wool, (predominantly merino). Synthetic base layers are generally cheaper, more durable and faster drying, though they will smell with use. Merino wool is more comfortable against the skin, offers more insulation, and is naturally antibacterial, making it a lot less smelly. There are now hybrid base layers available, typically 85% polyester and 15% merino wool, which aim to combine the best of both wool and synthetic. For winter use they are my current choice. Opt for a long front zip, as this will help with temperature regulation. Mid/Insulating layer – this will provide most of the warmth by trapping air in the fibres of the material. Often a synthetic fleece, though wool mid layers are available, they provide insulation while transferring moisture to the outer layer to evaporate. There are ‘softshell’ layers available which combine a thin fleece with a windproof outer layer such as ‘pertex’. They offer high moisture wicking with good insulation and wind resistance, and work well on cold dry days, avoiding the need for an outer shell jacket and helping to avoid overheating. A full length zip will allow for a greater degree of temperature control. Outer shell – a jacket or smock with a hood will protect you from wind, rain and snow, and should be both waterproof and breathable. 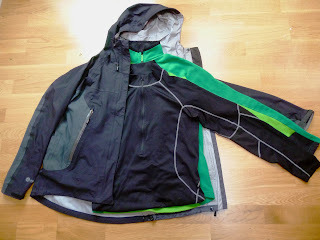 Many people prefer the products made from ‘Goretex’, though other materials such as ‘Event’ also work well. Some manufacturers have developed their own waterproof/breathable materials. Jackets with full length zips are ideal as they are easier to take on and off. Synthetic base layer, fleece mid layer and outer shell jacket. This simple system can be varied depending on the weather and temperatures encountered. The mid layer can be replaced with a thin insulated jacket of down or synthetic material like ‘Primaloft’, and softshell jackets that combine layers, (as described above), can be used with or without an outer shell. Layering in this way offers maximum flexibility to stay comfortable and warm in all conditions. Legs should not be forgotten, good softshell pants will provide insulation and be windproof. Some will keep off a shower, but should be combined with breathable waterproof pants for full weather protection. A fleece hat or beanie and waterproof gloves should complete the kit, a lot of heat can be lost through the head and cold hands can make for a miserable and potentially dangerous experience. Finally, cotton clothing has no place in your cold weather kit, preferably not even socks and underwear. It will absorb moisture, trap it next to your skin, and keep you cold and damp all day, leading to possible hypothermia once you stop. To learn more about Mountaintrails guided hikes check out the following pages on our website.